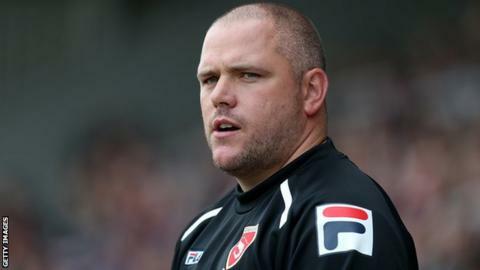 Morecambe boss Jim Bentley says he feels "let down" by his side after their five-match unbeaten run was ended by Northampton Town. The Shrimps sit seventh in League Two after Saturday's 4-2 home defeat, their first loss in over a month. "We were fifth from top, five unbeaten and we'd scored 15 goals in five games, but I got let down," Bentley told BBC Radio Lancashire. "I can accept getting beat but it's about the manner that you get beat." Morecambe now face a trip to fifth-placed Oxford United on Saturday, who have lost just one league game this season. "No-one's lost a leg, we haven't been relegated or anything like that and no-one's been killed, but it was a poor day at the office," Bentley added. "We've got to make sure we get it out of our system and have a good week. It's another difficult game coming, it's mad, the league's absolutely crazy. "The confidence has taken a hammering today but we'll have to pick ourselves up and go again."